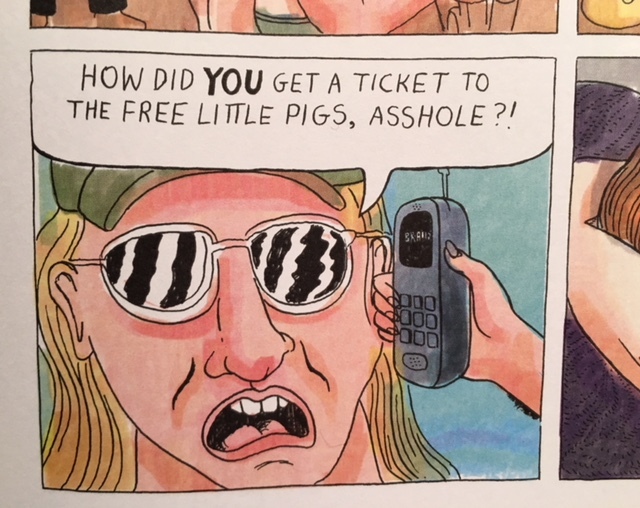 Matthew Thurber's Art Comic is now in stores! 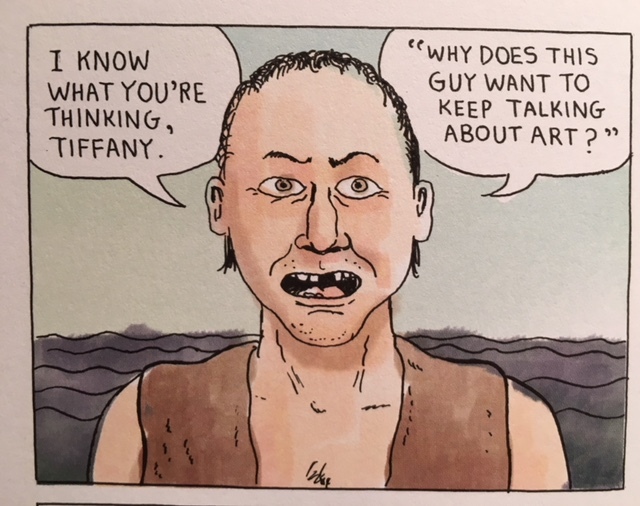 Art Comic places the art world under a harsh and hilarious microscope; skewering anything and everything--at every turn. 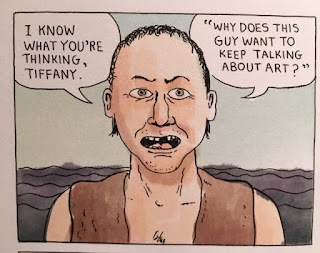 Follow Cupcake, the Matthew Barney obsessive, Epiphany née Tiffany Clydesdale, the divinely-inspired performance artist, Ivanhoe, a modern Knight is search of artistic vengeance, and his Squire, Turnbuckle. Each artist is more ridiculous than the last, yet they are tested and transformed by the even more absurd machinations of Thurber’s fantastical art world. 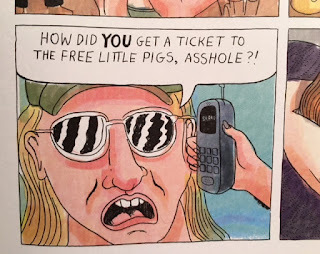 Art Comic has something for everyone; pirates, horses, anthropomorphic pigs, even a musical interlude. It is populated with all your favourite artists and celebrities; Robert Rauschenberg, Francesca Woodman, Elton John, Bowie, and more! Whether you're an art lover, or exasperated by the art world, or both, this is the book for you. Stop by today for your copy!